Today, September 5, is always celebrated as Teacher’s Day in India. It is being celebrated to honor teachers, mentor and gurus since 1962. They are the one who guide us to be learned students and better human being. 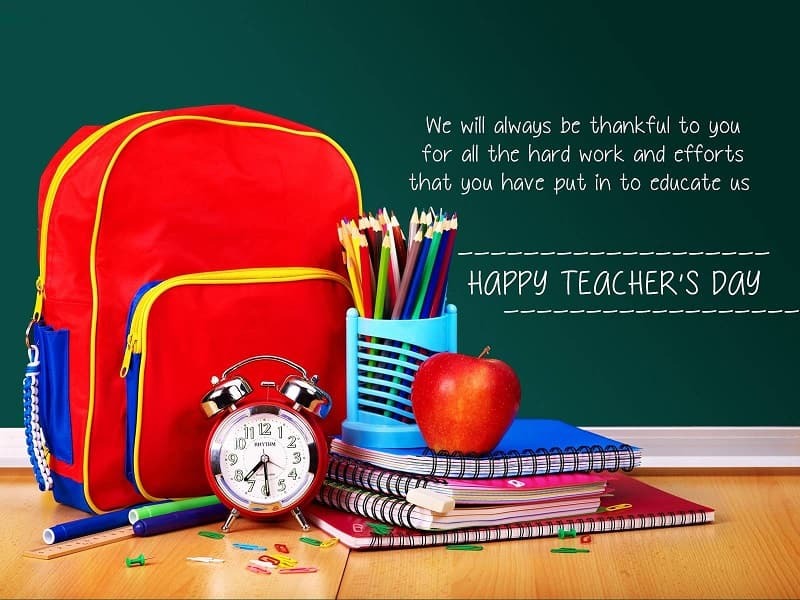 On this day, everyone give heartfelt tributes to their teachers by sending them warm wishes. Teachers are not just restricted to schools or colleges but also can be your boss, training coach or even neighbor. 1). From ABCs to Red, White and Blue, from History to Mathematics too, all I want to say is a big THANK you! Happy Teacher’s Day! 2). Your teachings are not just limited to the class, but help us in every step of our lives. Happy Teacher’s Day! 3). You have been more like a friend than a teacher. Always approachable and ready to solve our problems. Lucky to have you :) Happy Teacher’s Day! 4).To someone who has taken the time to listen to my concerns, guide me on the path to knowledge and reassure me on my life’s path. Happy Teacher’s Day! 5). Thank you for teaching us life lessons that no book can, for making us who we are today! Happy Teacher’s Day! If you want to start an easy business and earn, check THIS. If you want to promote your business and grow, check THIS.